Request a callback from one of our sales team today. 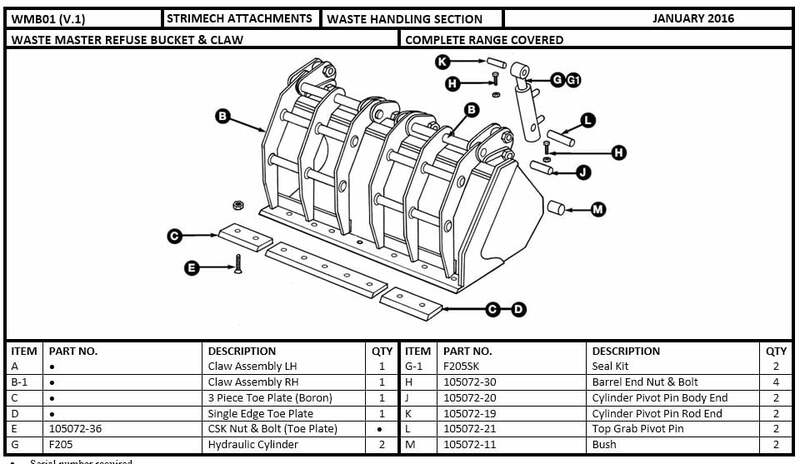 To view the full range of products and spares that Strimech offer, please download our free brochure. You can also call one of our team members on 01922 649700. 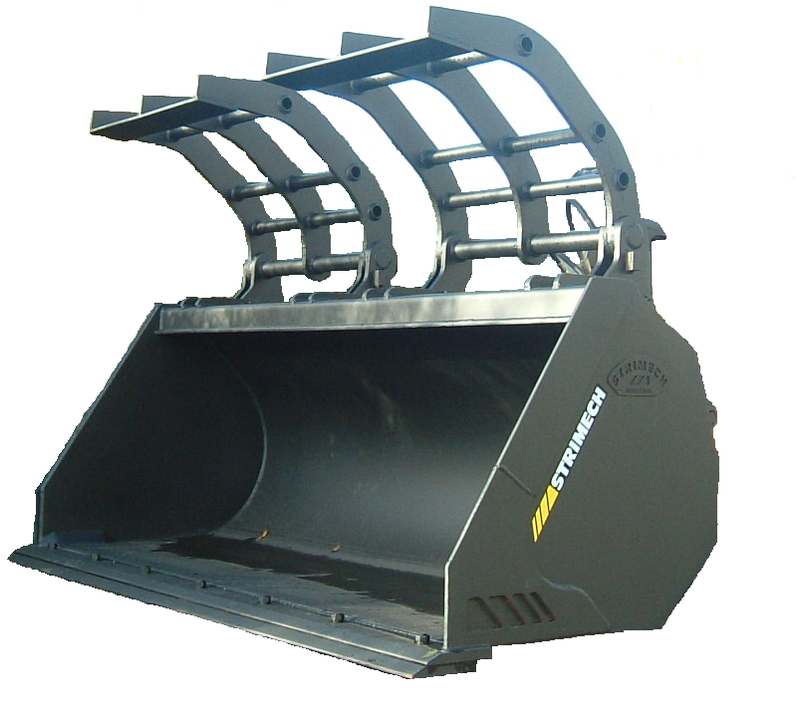 Wastemaster Refuse Bucket & Claw The Strimech wastemaster refuse bucket and claw has been designed to work within the waste industry for use with all forms of waste. A bolt on wear edge is fitted as standard to help extend the working life of the bucket. Fill out the form below to enquire about this product and one of our team will call you back as soon as possible. WMB15-76 1.5m³ / 53ft³ 1.07m / 3'6" 1.26m / 4'2" 2.29m / 7'6"
WMB20-76 2.0m³ / 70ft³ 1.18m / 3'10" 1.29m / 4'3" 2.29m / 7'6"
WMB16-80 1.6m³ / 56ft³ 1.07m / 3'6" 1.26m / 4'2" 2.44m / 8'0"
WMB22-80 2.25m³ / 79ft³ 1.18m / 3'10" 1.29m / 4'3" 2.44m / 8'0"
WMB17-86 1.7m³ / 60ft³ 1.07m / 3'6" 1.26m / 4'2" 2.59m / 8'6"
WMB25-86 2.5m³ / 88ft³ 1.18m / 3'10" 1.29m / 4'3" 2.59m / 8'6"